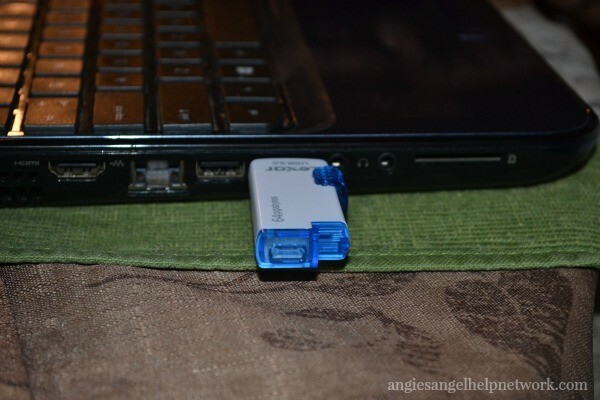 I recently had the chance in reviewing the Lexar JumpDrive M20 Mobile 64GB USB 3.0 Flash Drive. Lexar has been trusted as a leading global brand for memory solution for more than 15 years. Whether shooting photos, capturing videos, watching movies on a tablet or simply transferring and sharing files on the go, Lexar memory solution provide the performance and reliability needed to get the most from your digital device. The develop and introduce industry leading products in the latest formats, technologies and capacities. Lexar has decades of experience with storage standards, flash memory design, component development, ad supply chain management. The Lexar JumprDrive M20 Mobile 64 GB USB 3.0 provides high-performance portable storage backed by Lexar performance, quality and reliability. 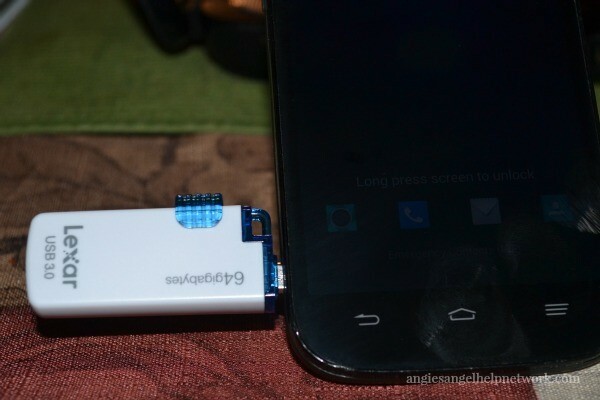 This littler USB can do a lot and store a lot as well. It can transfer files between mobile devices without cables or Wi-Fi, has backwards compatibility with USB 2.0 devices it is as well compatible with both PC and Mac systems. However it is designed for use with On-The-Go-enabled Android tablets and smartphones. It features a 2-in-1 retractable design with micro-USB and USB 3.0 connector. With this USB you can store and share files faster, you can quickly transfer a 3GB HD video clip in less than a minute! Since you can transfer over data without needing any cables or Wi-Fi, the Lexar JumpDrive M20 Mobile allows you to easily and quickly transfer, swap or store files between your computer, phone or tablet wherever you may be. So no more needing to find a hotspot or service anymore. All summed up together with a 3-year warranty. It’s retractable connectors means it’s easy to carry around without any loose caps of sorts. You can plug one end into your tablet or smartphone and store photos, files or videos, then use the other end to plug into your computer to upload what you stored and such. You can also download a file management app called ASTRO File Manager from the GooglePlay store, this app lets you quickly manage your files from the cloud and mobile devices. Lexar offers other products such as memory cards and card readers and storage drives. My family and I have many electronics that you can save photos and videos on such as our laptops, game systems, phones, cameras, and tablets, having the Lexar JumpDrive M20 Mobile helps when we transfer photos or video from one device to another easily and quickly. Other USB drives may need for you to connect a cable to transfer data over then to plug in the USB so you can then transfer data onto it then over to something else, or some programs or Apps for file management call to be connected to Wi-Fi which isn’t always convenient. But with this jumpdrive you don’t need any cables or Wi-Fi, just the thing itself and your devices. Also since it has 64 GB of space you can store tons and tons of stuff! Be sure to connect with Lexar on Facebook and Twitter.